Senior officials at the Department of Homeland Security are floating a proposal that would require foreign students to reapply for permission to stay in the United States every year, a controversial move that would create new costs and paperwork for thousands of visa holders from China, India and other nations, according to two federal officials with direct knowledge of the discussions. I don't know enough about the plan as it's unfolding to make any firm judgment of its value one way or another. But I do know it's untrue that State Department agreement is required. It may be wise to seek Department of State concurrence, but as a matter of law it's not necessary, should DHS seek to go this path. Section 428(b) of the Homeland Security Act of 2002 (6 U.S.C. 236(b)) confers on the DHS secretary plenary authority "to issue regulations with respect to, administer, and enforce the provisions of the [Immigration and Nationality] Act, and of all other immigration and nationality laws, relating to the functions of consular officers of the United States in connection with the granting or refusal of visas." The only question is whether DHS Secretary Kelly will choose to exercise this authority. Past DHS secretaries have chosen not to do so, although ironically a new consultant's report suggests moving the whole consular function from State to DHS. It is true that foreign students and scholars represent a particular national security concern. Several FBI directors, including Louis Freeh, Robert Mueller, and, most recently, James Comey, have in the past raised concerns over this segment of the alien population in speeches and testimony before Congress. They have been a perennial concern, and for good reason: Some have been involved in extremist activities (such as the 9/11 plots); others have acted as spies and sensitive data collection agents for hostile foreign governments. One would think, given this background, that controls over foreign students and scholars — and the schools that are given permission to accept them — would be tight. Not so. 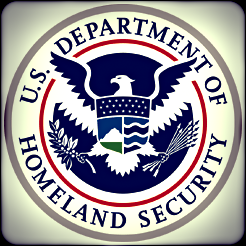 Sadly, the DHS agency responsible for these matters, Immigration and Customs Enforcement (ICE), has shown itself either unwilling or incapable of expending the effort, either to ensure that only legitimate, reputable schools are given the permission needed to accept foreign students and scholars, or to use sufficient enforcement resources to identify, take into custody, and remove students and scholars who overstay or otherwise violate the terms and conditions of their presence here in the United States. Foreign student control — including locating and apprehending them when they overstay, or work illegally, or drop out of school — has been, and remains, poor at best (see here, here, here, and here). What's more, with burgeoning "sanctuary" movements all across the country, many post-secondary education institutions are declaring themselves no-go zones for federal immigration agents, even though it is a federal immigration enforcement agency that grants those schools permission to accept foreign students in the first place. It seems to me that, while there may indeed be value in what is being contemplated, ICE has many other pressing concerns it needs to address if it is to start taking seriously its responsibilities where monitoring and control of foreign students and scholars is concerned. Simply requiring foreign students to yearly re-register won't end the multiple abuses to be found in the current system.